Jensen & Misha. . Wallpaper and background images in the Jensen Ackles and Misha Collins club tagged: misha collins jensen ackles. Cockles Edition - Who Wore It Better? 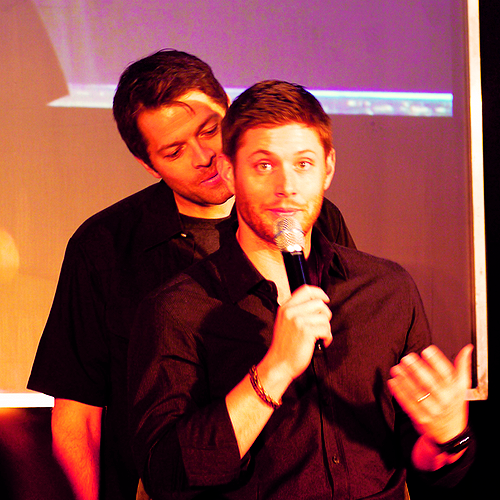 JIB Con 4 - Cockles Hug! Jensen & Misha - Dancing!